Teaching teachers how to make the ordinary, EXTRAORDINARY! Day 1 – Unleash Your Creativity! Mister C kicks off the conference with a morning session that will inspire you to transform your classroom! Day one is filled with high energy and action packed demonstrations and minds-on activities that encourage teachers to play, learn, discover and pursue the answer to “Did that just happen?” Mister C models a variety of effective techniques, strategies and presentation ideas to make cross-curricular connections which focus on STEAM Learning based on Mister C’s 4 E’s. 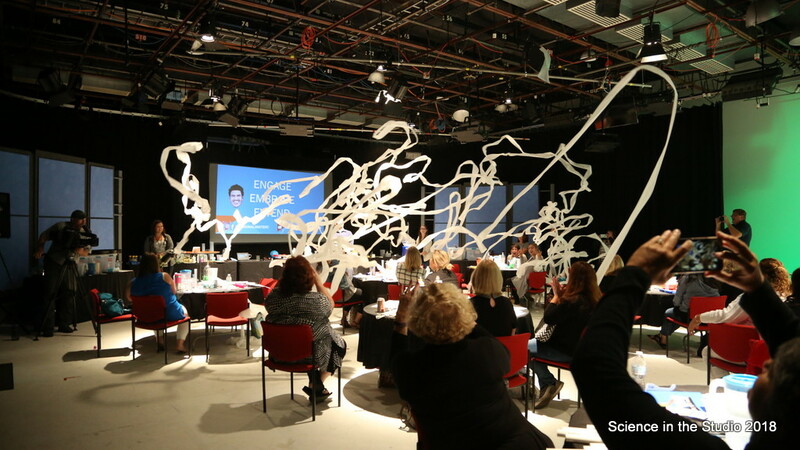 Teachers harness the energy, ideas, experiments, and demonstrations from day 1 to plan, develop, create, and then….record a science experiment in front of the cameras at ThinkTV studios. Videos will be edited and produced by ThinkTV and will be provided to attendees to use in their very own classroom. Learn how to effectively use and integrate media to turn your classroom into a mobile studio. Mister C is a YouTube celebrity who shares his tips and strategies to inspire learning beyond the classroom using his videos and songs! Join us for Science in the Studio. Science in the Studio is like no other conference or professional development session you’ve ever attended. This amazing experience focuses on inquiry-based learning, STEM-driven activities and best practices to enhance every classroom! Mister C created this experience to inspire, empower and change HOW teachers teach science through fun, exciting and media rich demonstrations and experiments! 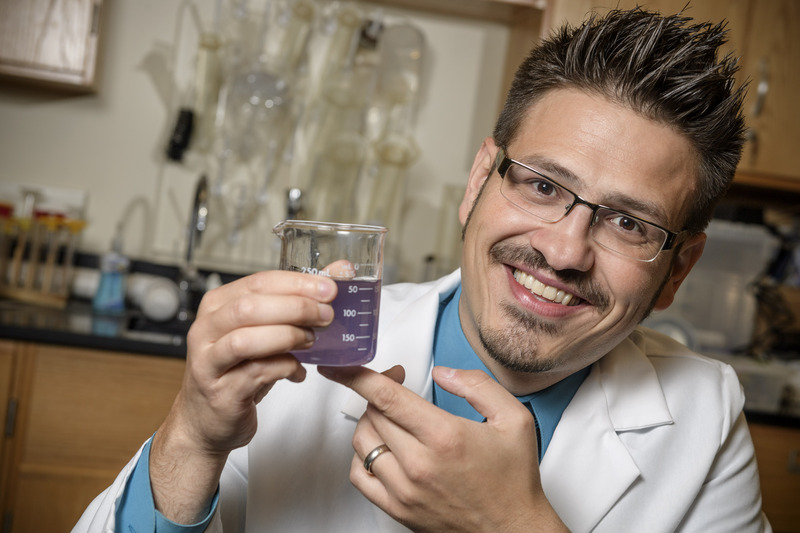 Mister C knows how to make “Learning Fun for Everyone” and has hand-picked more than 35 of his favorite science experiments and demonstrations for his attendees! 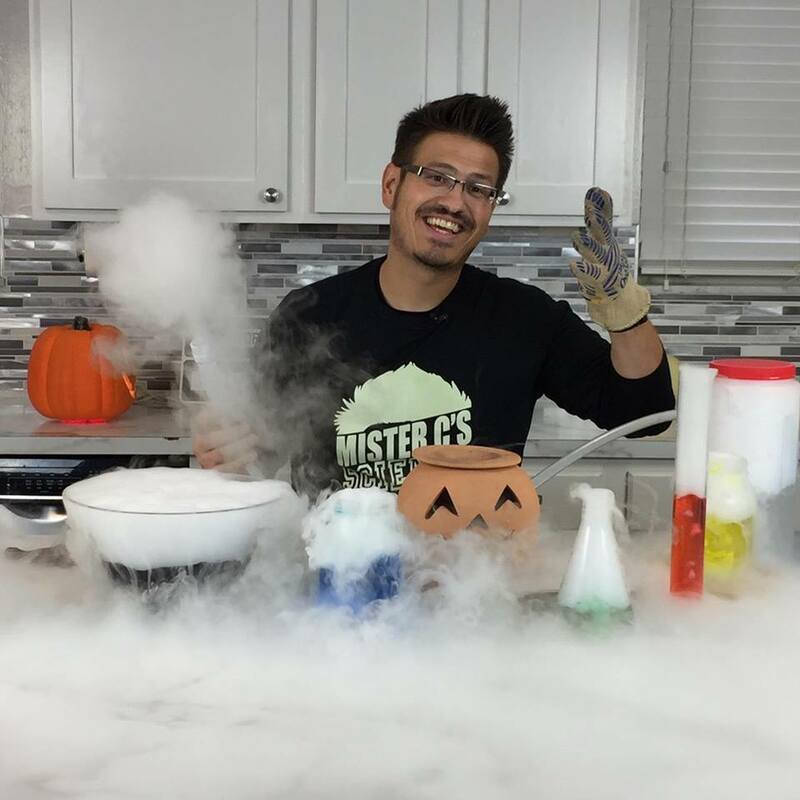 No one is better at capturing the imagination and attention of students and teachers than Mister C. From Hair Raising Science on his YouTube channel to exploring science in his kitchen with his new PBS Kids show Full STEAM Ahead, Mister C knows that creating a memorable and powerful learning experience is second to none! Whether it’s PBL, STEM, or STEAM, it’s not the WHAT we are teaching our students, but the HOW we teach and engage our students that matters most. Mister C knows how to make powerful connections with learners and turns any venue into an opportunity to build and grow his community of learners! What sets a Mister C’s professional development session apart from the rest of the crowd? Mister C makes “Learning Fun for Everyone” and knows that Learning Science is Fun. Mister C’s humor and high energy, paired with his pedagogical content knowledge engages his audiences to focus on what matters most: content-based learning and student engagement! Mister C has been creating multi-media content for over a decade to get students actively participating in every classroom. He will be sharing and modeling learning experiences, effective strategies and skills during this hands-on, minds-on experience. Plus! Wait for it…You are in ThinkTV’s Digital Studios. 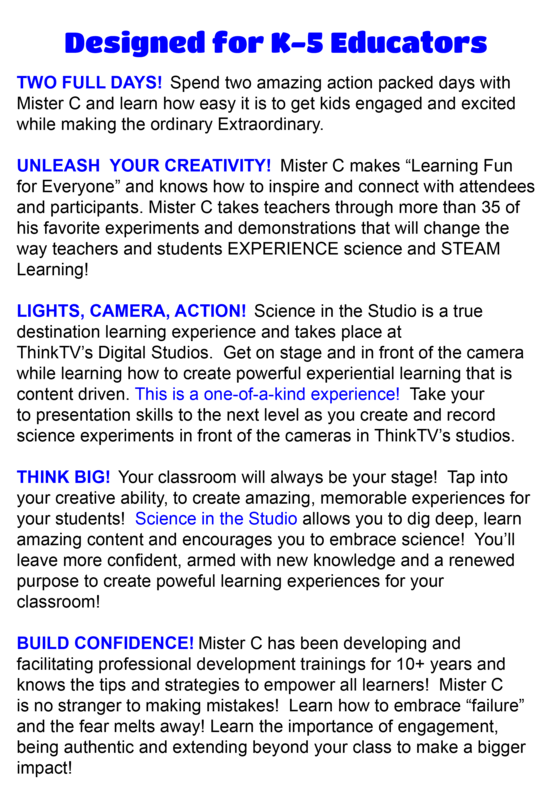 PBS is a leader in educational programming and ThinkTV and Mister C have partnered together since 2015 to bring educational programming to southwest Ohio. This will be your chance to get in front of the camera and show the world how you create fun and exciting learning for your students. Mister C is no ordinary educator! 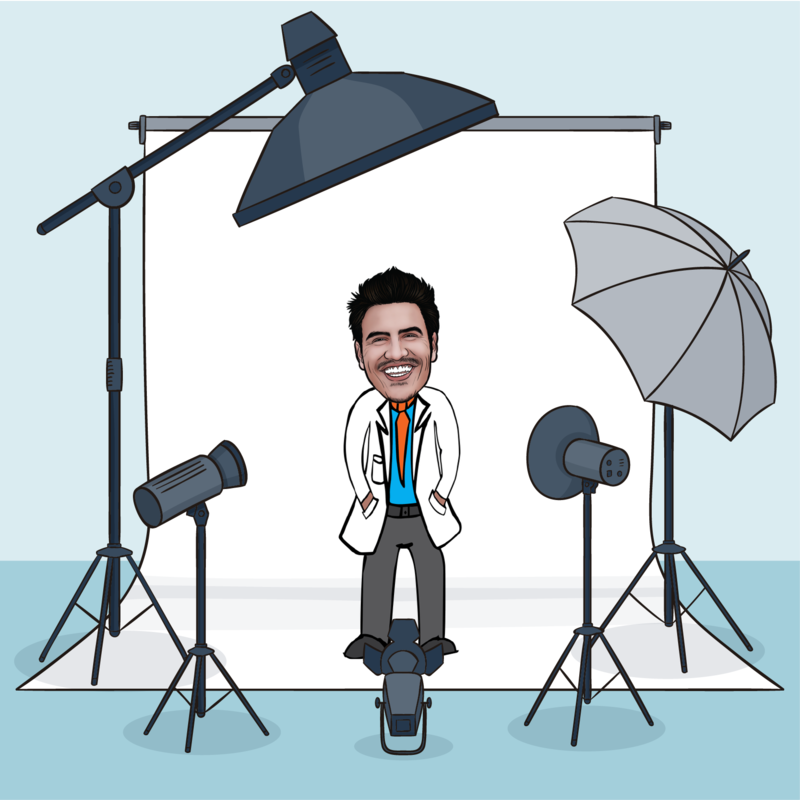 Hop online and search for Mister C and you’ll quickly find his YouTube Channel – Learning Science is Fun – which is filled with 130+ science and math videos and educational songs he has written and produced. 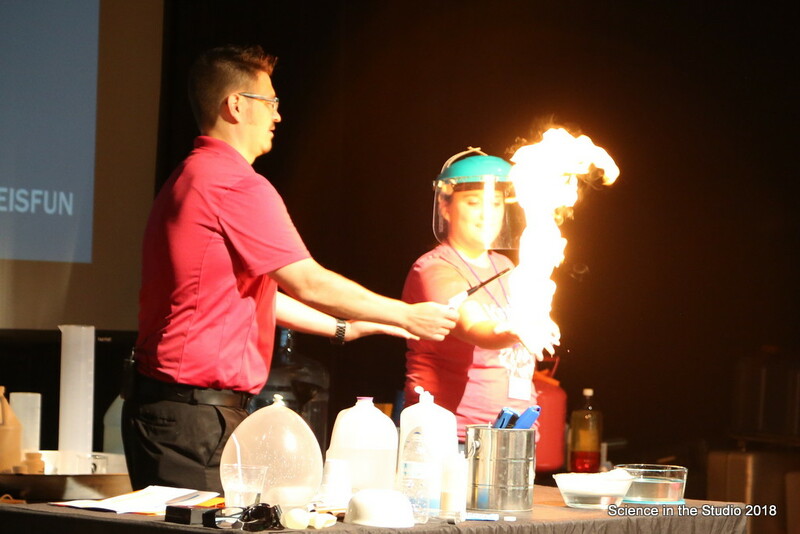 Mister C is a monthly guest on Living Dayton where he does Hair Raising Science with the hosts to explore common misconceptions and fun ways to get families at home to engage and learn science! Mister C is also the creator and host of Full STEAM Ahead, a children’s program that airs on PBS Kids which invites families to conduct similar experiments in their own homes and encouraging families to explore together! Teachers can earn up to one (1) graduate level semester credit through the University of Dayton for participating in both days of Science in the Studio. Credits are not part of a degree program, but can be used for CEU’s and teacher’s Individual Professional Development Plans to renew existing licenses. An application for credit is given at the end of Science in the Studio and must be completed within one month of the conference. The fee is $175 per semester hour and should be paid directly to the University of Dayton. Science in the Studio takes place June 12-13, 2019. What is the price for the conference? 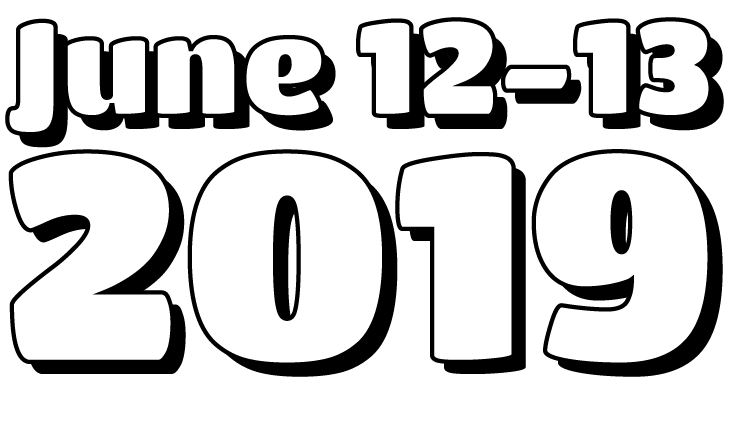 Early Bird Registration costs $350 and includes the two day conference, take-home science materials, activities and resources, and a ThinkTV edited & produced video. Registration will be $400 beginning April 1, 2019. *In order to receive a 100% full refund, cancellations must be made by April 30, 2019. Due to conference planning purposes and ordering of materials, cancellations received after April 30, 2019, but before May 30, 2019 will only be eligible for a 50% refund. Cancellations after June 1, 2019, cannot be refunded. The conference is geared towards PK-5 teachers, however teachers from grades 7-12 can register and participate. Some of the activities will require modification, but Mister C makes Learning Fun for Everyone and is confident that all attendees would benefit and leave with new ideas to implement! What content will we be learning? The conference focuses on presenting and creating powerful learning experiences for students. The activities and demonstrations are geared towards the Next Generation Science Standards and focus on Engineering Design Challenges, Engineering Design Process and media integration. How many teachers are able to participate? Science in the Studio 2018 has a capacity of 70 teachers. 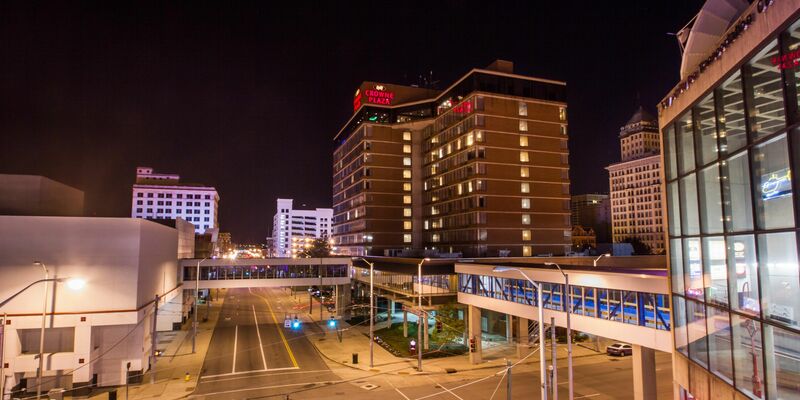 The Crowne Plaza Dayton is the official conference hotel for Science in the Studio. The hotel is located less than a 5 minute walk from ThinkTV Studios. A special group room rate for Science in the Studio and details to book within this hotel block will be provided in your confirmation email.